Today, Steve Jobs took a sabbatical from his sabbatical to hop up on stage and tell us all about the iPad 2, the next revision of Apple’s wildly popular tablet PC. The announcement concerned both hardware and software – the iPad 2 is coming to the US on March 11, and with it will come the iOS 4.3 update, iMovie for iPad, and GarageBand for iPad. It will launch at the same capacities and price points as its predecessor, will come in both black and white, and launches internationally on March 25. 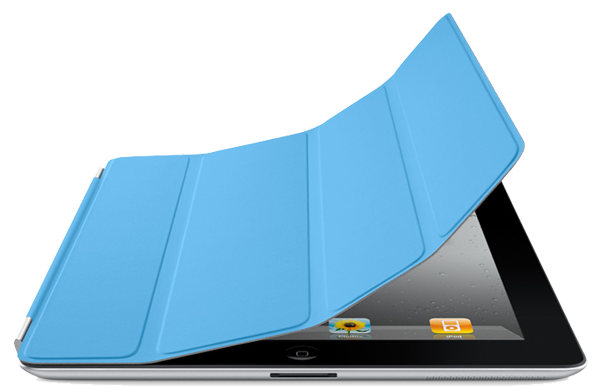 The iPad has had, for all intents and purposes, the tablet market to itself for most of the past year. That’s all set to change in 2011, based on the plethora of Android and Windows tablets we saw at CES, so the iPad 2 must be not only a solid extension of the original product’s strengths, but also a worthy competitor to the first wave of products from Google, Microsoft and the rest. For convenience’s sake, I’ll be comparing the new iPad’s specs to both the old iPad and to the Motorola Xoom, which we reviewed last week. While the Xoom certainly doesn’t represent all of the Android/Honeycomb tablets that will come to market in the next few months, it does represent Google’s reference design for Honeycomb, and as such I feel safe considering it the standard (or perhaps the ideal) hardware configuration for Google’s new tablet OS. Apple took this opportunity to move from the Apple A4 processor it used in the iPhone 4 and original iPad, which combined a Cortex-A8 processor with a PowerVR SGX 535 GPU. The A4 is very closely related to the processors used in the iPhone 3GS, so that should give you a frame of reference for how long we've been waiting for a true architecture bump. The new A5 processor is a dual-core affair running at the same speed as the A4 in the original iPad. Just as Apple was coy about mentioning the A4 being powered by an ARM Cortex A8, it's quite possible that the A5 is powered by two ARM Cortex A9 cores. Thankfully, the increased performance doesn't come at the cost of decreased battery life - the iPad 2 is rated at about 10 hours of battery life, same as the original iPad. The new iPad's graphical capabilities should be impressive, though; Apple claims that it is up to nine times as fast as the original iPad. The improvement in GPU performance is likely due to the rumored PowerVR SGX 543 that's inside the A5. We'll need to wait until we have the device in hand to separate the actual speed from the on-paper speed, but if this claim holds up we should be seeing games and apps that look an order of magnitude better on the new iPad. System memory is also a bit of a wildcard at this point, and my best guess varies based on the precedent I use. The original iPad has 256MB of system memory, which was the same amount as the then-current iPhone 3GS. If Apple follows this pattern, then the new iPad should have the 512MB of system memory that the iPhone 4 has. However, if Apple is more interested in staying abreast of Android, the new iPad will have the 1GB of system memory encapsulated in the Xoom. Either way, we'll probably need to wait until we have the device in hand to figure this out, since it isn't mentioned on Apple's otherwise exhaustive spec sheet. 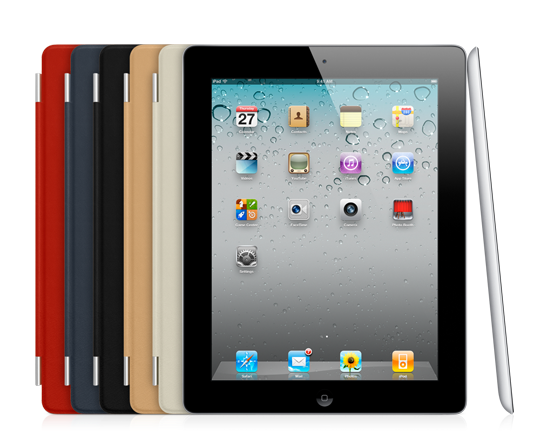 The iPad 2 comes in both wi-fi only and 3G flavors - separate 3G iPads will be available on both the Verizon and AT&T networks from day one. It remains to be seen whether the iPhone 5 will be a universally compatible device, but based on the iPad 2 the next iPhone may continue to come in two slightly different flavors. Just as before, Assisted-GPS is only available on the 3G versions of the iPad 2. Moving from the inside to the outside, the new iPad also receives the front (VGA) and rear-mounted (720p) FaceTime cameras that have become nearly ubiquitous in Apple’s products since FaceTime’s introduction in the iPhone 4 - the original iPad had a space inside the case where a camera would fit, but manufacturing troubles led the company to leave the camera out. Apple delivers all of this new stuff in a package that is slighlty lighter and significantly thinner than the previous iPad at the same price points, which I don't think anyone can complain about, and it comes in both black and white varieties. Moving into the Land of Accessories, Apple showcased two things today. The first was a new case design for the tablet - using magnets built into both the iPad's chassis and the case's hinge, it manages to protect the device's screen and serve as a stand without adding a lot of additonal bulk to the tablet. The previous iPad case was a foamy, bulky thing that made the tablet more unwieldy while also restricting access to its data port and obscuring its pretty exterior. The new case looks to protect the tablet's most vulnerable asset while also maintaining the device's aesthetics. The new cases will run $39 for a polyurethane cover, and $69 for a leather cover. Also demoed was an HDMI adapter, which promises to output any app at 1080p resolutions with a minimum of setup and fuss. You'll pay $39 for the privilege - it's up to you to decide whether this is useful to you. I agree. Tablets are now role player style devices and they are here to stay. They will stop selling like hotcakes in a couple years similar to the netbook phenomenon, and will join the laptop in ubiquity. The most important Apple innovation was the development of a modern, robust, and user friendly App market made for consumers by consumers. This is what gave real meaning, novelty, and utility to portable devices. The UI on all of apples most popular recent devices is by and large the same UI, as boring as it is compared to what one can do with Android is of little significance so long as it can maintain critical mass in marketshare to drive App development . Android, iOS, WebOS, Phone 7, etc. are only as relevant as their App experience. This makes me question the legitimacy of things like tablets and netbooks. I would like to see a company release a netbook type device that has only a screen, keyboard, and touchpad in a super slim, lightweight package that can wirelessly pair with my Android phone. said company then needs to make a App market component to drive the thing and voila! You could do the same but with a tablet too... just extend your phone to whatever form factor you fancy. People weren't "wowed" because everything announced from a hardware standpoint is already seen or bested by the competition. Lastly, it's mostly "more of the same" from an OS perspective. There weren't any significant changes to the UI or multi-tasking/notification aspects of iOS, which some people are waiting for. As a guy with common sense, I cannot fathom how it would be practical for apple to roll out a ultra hi-res display on a 10 inch form factor. I see two major problems with having 2048*1536 on the iPad for atleast a year or two. Firstly, the cost would be outrageous. General public does not seem to grasp the idea that it's far easier to bump the density for smaller screen sizes in comparison to larger ones. I do remember seeing a 4.7" 1080p screen prototype somewhere but I still think it's far too early for it to be practical. Secondly, 2048x1536. Just look at the number of pixels. Everyone seems to forget that to push 4 times the pixels you need very powerful processing power. To put things into perspective, even normal desktops today don't have that many pixels. Also, running games on anything but the latest hardware (I'm thinking about the Radeons and the GeForces) is a complete joke at that resolution. You might mistake them for a slideshow rather than a game. "The iPhone 3G missed out on many of iOS 4's banner features - multitasking and home screen wallpapers being chief among these"